Play On Courts carries an extensive line of volleyball systems to serve nearly any need. From professional competition standards to more economical options, all of our volleyball systems are lightweight, user-friendly and built to last. 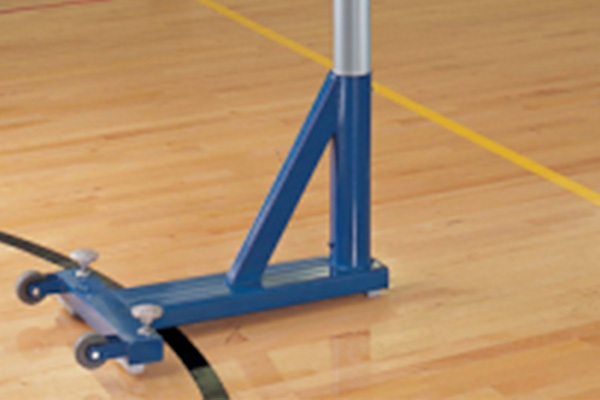 Floor sleeve volleyball systems are designed and built to be easily handled, set up, adjusted, and stored with precision. 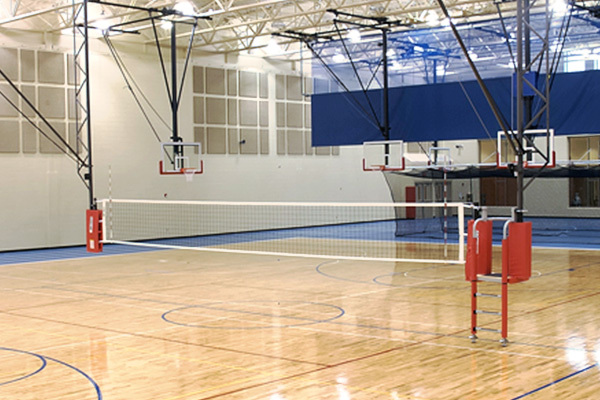 Floor sleeve volleyball systems are perfect for facilities hosting recreational and competitive level volleyball. 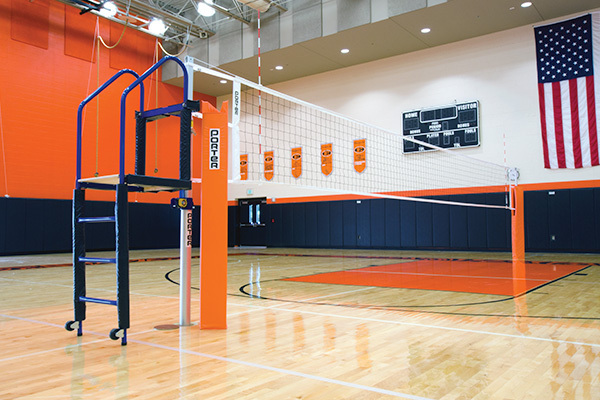 Overhead volleyball systems are the ideal solution for facilities that require quick transition between activities or have space/storage limitations. Optional electric height adjusters are available for additional flexibility. Portable volleyball systems can be quickly rolled out anywhere on the court for maximum flexibility and efficiency. Our portable volleyball systems are lightweight, which allows for no-hassle set up and storage.